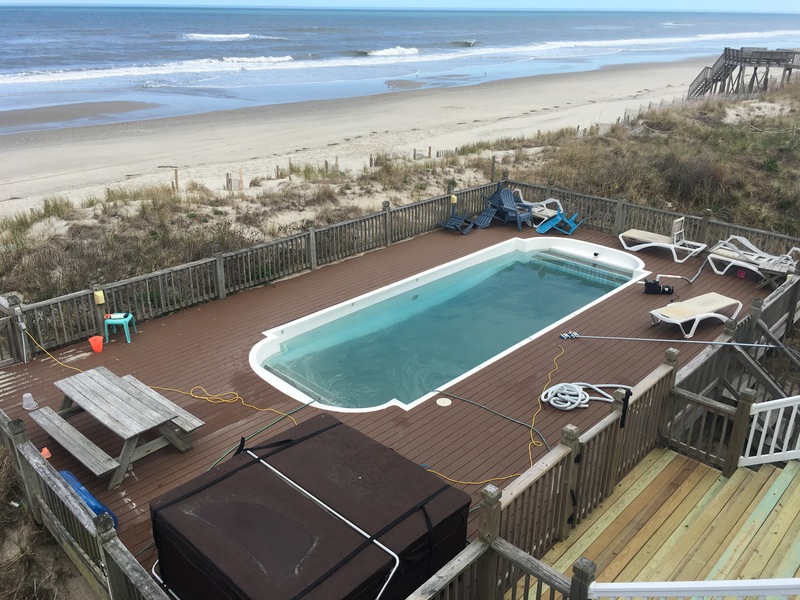 We started to bring this pool in Corolla NC, out of its winter time slumber. 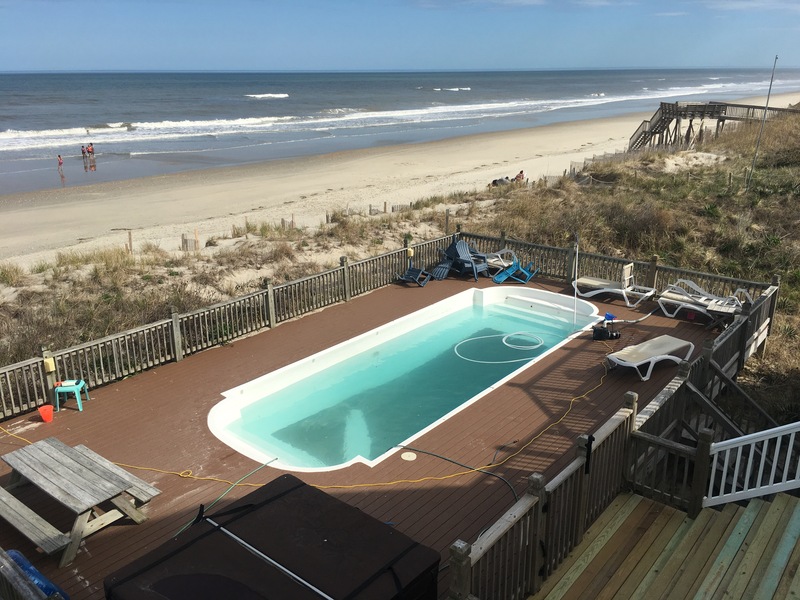 This gorgeous property is located in northern Corolla in a private oceanfront community called Ocean Hill. 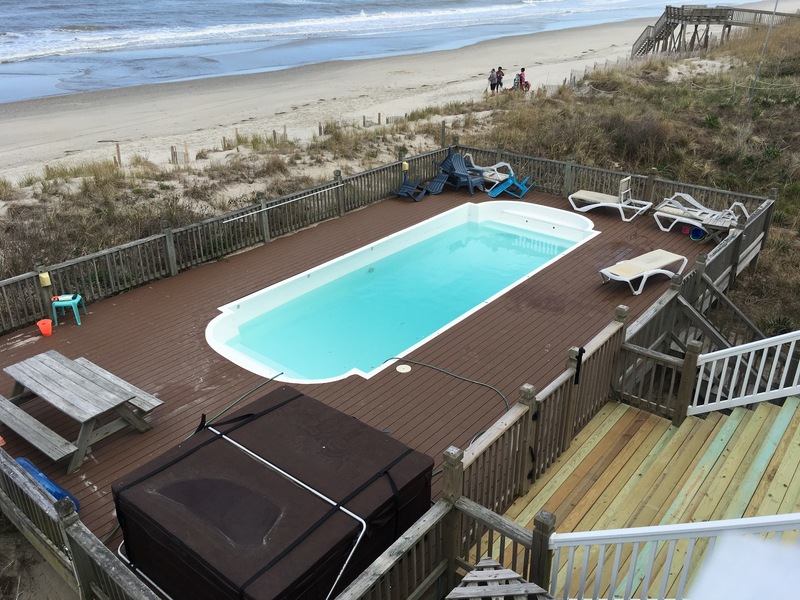 Ocean Hill in my opinion is on a different level then most of the northern Outer Banks. In this community all houses sit on 1 acre lots. 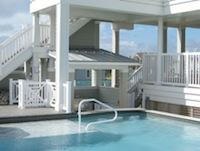 This provides a little bit more space and A little bit more privacy for homeowners and guest alike. 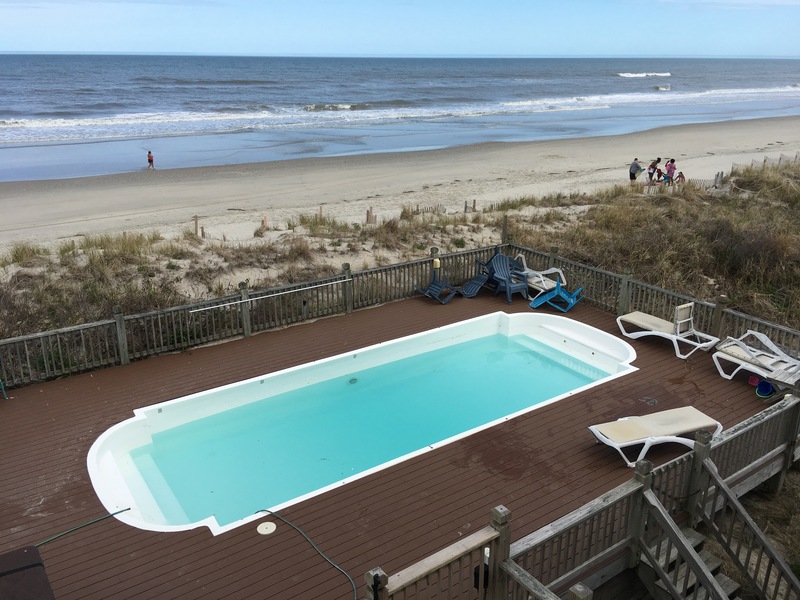 This pool in particular has amazing oceanfront views. 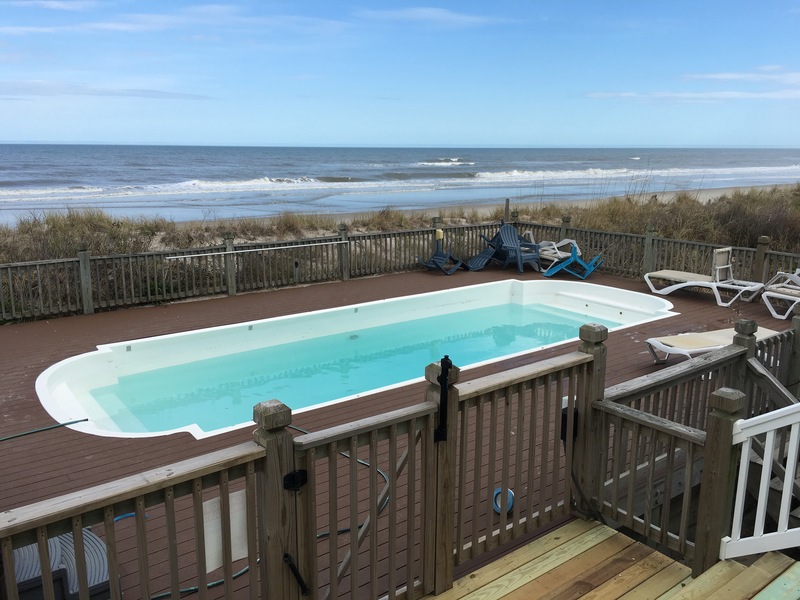 The dunes sits low so when you’re on the pool deck you can actually see the ocean and the beach. This makes for a real sandy pool when The wind blows. We added tabs in the floating chlorinator all winter long to ensure the pool stays clear and blue. This makes the pool a lot nicer to look at through the winter months and also makes it a lot nicer to open up in the spring. We begin by pumping out all the sand from over the winter. Next we are adding water to the pool and un winterize the pool equipment and open the pool. As soon as we open the pool we balance pool water chemistry to get the chemicals in range .